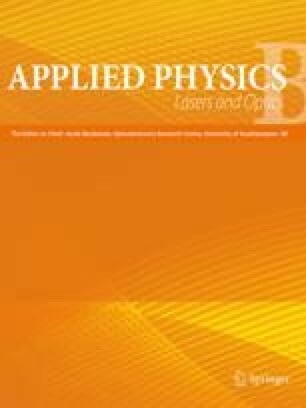 An industrial trace-ammonia sensor based on photoacoustic spectroscopy and CO2 lasers has been developed for measuring ammonia with a 1σ detection limit of 220 parts-per-trillion (ppt) in an integration time of 30 s. The instrument response time for measuring ammonia was 200 s, limited by adsorption effects due to the polar nature of ammonia. The minimum detectable fractional absorbance was 2.0×10-7, and the minimum normalized detectable absorption coefficient for this system was 2.4×10-7 W cm-1/\(\surd\Box H\Box \)z. The 9R(30) transition of the CO2 laser at 9.22 μm with 2 W of output power was used to probe the strong sR(5,K) multiplet of ammonia at the same wavelength. This sensor was demonstrated with an optically multiplexed configuration for simultaneous measurement in four cells.